Past Projects | Send Us to SAMPE Seattle 2017! Send Us to SAMPE Seattle 2017! Every year the Society for the Advancement of Material and Process Engineering (SAMPE) hosts a multi-day exhibition and technical conference, considered to be one of the premier events in its field. 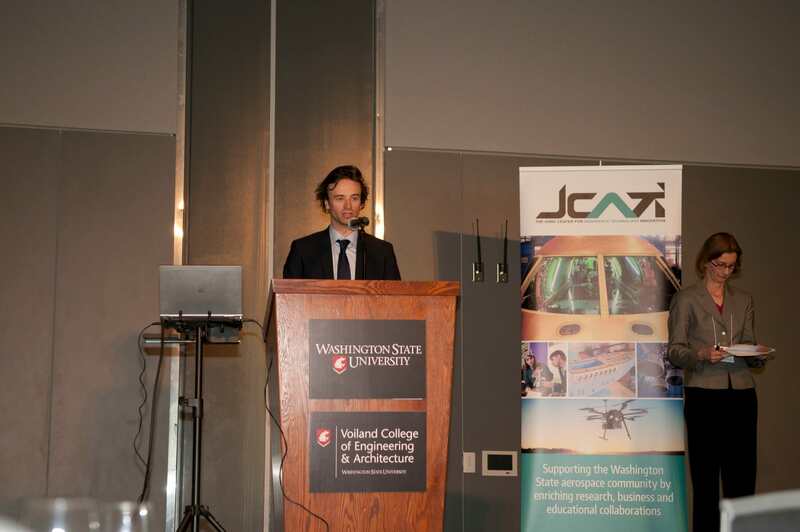 It has been a long tradition for Western Engineering students and faculty (primarily from the Plastics and Composites Engineering Program) to attend this conference to present research, network with representatives from industry and graduate programs, and compete in engineering design challenges. The video above that you hopefully just finished watching highlights just a few of the many projects being undertaken by students and faculty in the Plastics and Composites Engineering department. These projects and many others will be proudly shared at SAMPE Seattle 2017. 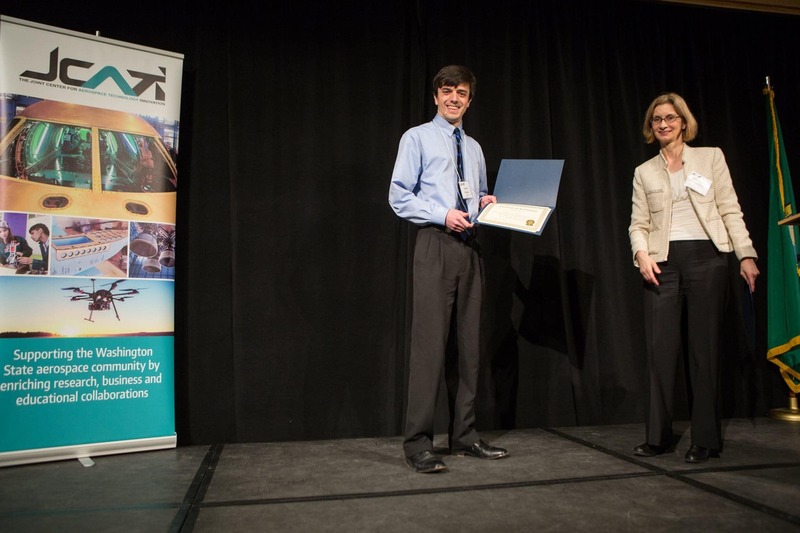 This year we have the good fortune of having the conference take place in Seattle, eliminating the cost of flights for students. However we are still presented with the costs of hotel rooms for multiple nights, as well as a $100 conference registration fee per student. Given the price of hotel rooms in Seattle, this will present potentially massive costs. . However with your financial support we can offset these costs. Our goal is to send every student who wishes to attend the conference, with students paying as little out of pocket as possible.We anticipate sending between 15 and 25 students. (Above): In Altair Hyperworks software, Blake San Felipo performs initial sizing of a carbon fiber I beam to find manufacturable ply shapes and orientations. 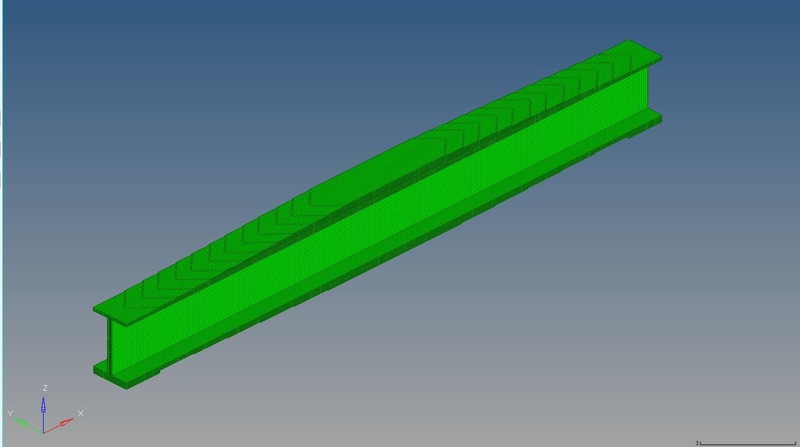 This beam will be entered into the Student Bridge Competition at SAMPE Seattle 2017, in which students from around the world compete to see who can manufacture the lightest carbon fiber I beam to hold 9000 lbs. Your generosity will have a tremendous positive impact. 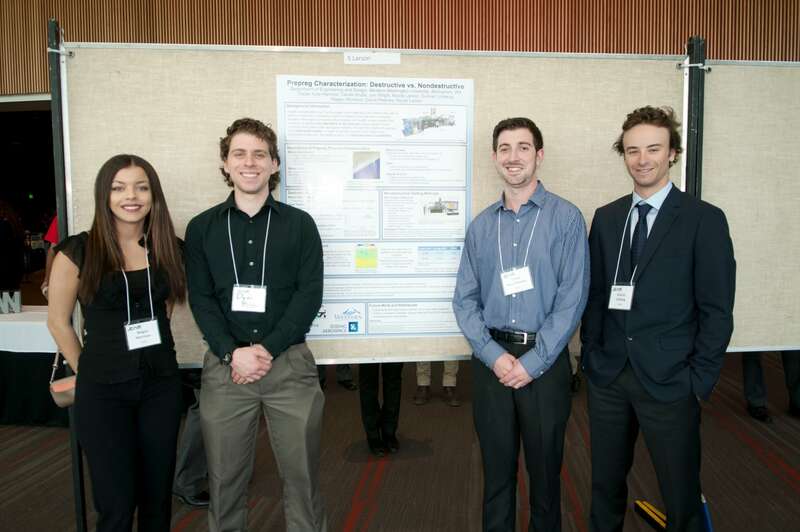 Every year, Western Engineering students report making connections at the SAMPE conference that lead towards great career and educational opportunities, and allow them to discover the most cutting edge areas of advanced materials and processes. Any amount of money raised over our goal will help to finance other future endeavors led by the SAMPE/SPE club, including yearly industry tours, and attendance of other technical conferences. Cover 1/2 the cost of 1 night at a hotel for a student, or 1/4 a conference registration fee. Cover the full cost of 1 night at a hotel for a student, or half a conference registration fee. Cover the cost of 1 night at a hotel for 2 students, or 1 conference registration fee. Cover the full cost of 1 night at a hotel for 10 students, or conference registration fees for 5 students.